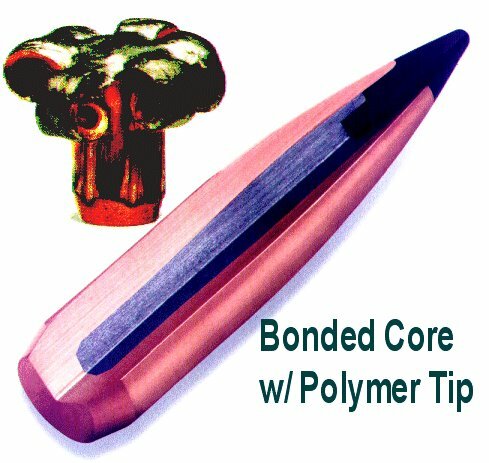 Swift Scirocco Bullets feature core bonding - flux welded fusion of the bullet jacket to the lead core so that they won't peel apart. Shoot Swift Scirocco at a wide range of velocities from 1,440 fps to 2700+ fps. The design is capped off with a high ballistic coefficient and polymer tip to give the Scirocco flat shooting long range accuracy comparable to match grade target bullets. Click Here for more information, specs, BCs, hunting bullet field test report, special Scirocco deer hunting results, other calibers and bullet types. Sold in boxes of 100 bullets.